Due to the UI virtualization in RadGridView, cell elements are created only for currently visible cells and are being reused during operations like scrolling, filtering, grouping and so on. In order to prevent applying the formatting to other columns' cell elements (because of the cell reuse), all customization should be reset for the rest of the cell elements. Please refer to the Fundamentals topic for more information. Figure 1: Changing the cells fore color. Figure 2: Formatting cell upon a condition. The ViewCellFormatting event is fired for all cells. 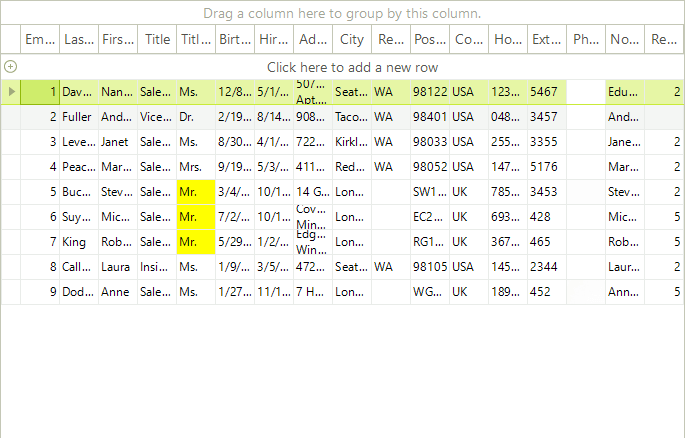 So if you want to format the grouping row or the header cells, you should use this event. Change group and header cells font and removing the default filter operator text. 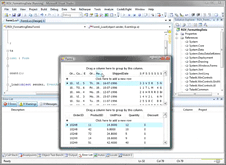 Figure 3: Formatting non-data rows. First, you should handle the CellFormatting event and set the back color of the cells whose text matches the text in the RadTextBox. The user types some text, but then you should somehow notify RadGridView that it needs to refresh itself. This is done by calling the Update method of the TableElement, passing the StateChanged argument as a parameter. Figure 4: Manually trigger the grid update.